My husband recently turned his own harvest of apples into crowd-pleasing apple bread (see recipe below) for one of my yoga retreats. It struck me how long the journey is for that wonderful apple bread. 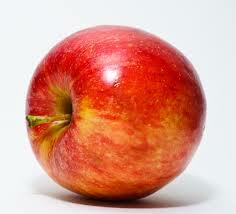 We can learn something for our journey in yoga from the patience it takes to nurture apples from seed to bread. Apple seeds grow into tree stock, soil is prepared, and small trees are planted. Trees are mulched, pruned, trellised and fussed over in those first years. Deer, rabbits, turkeys, insects and diseases are discouraged from messing with that tender sapling. Come May in some future year, the tree produces an abundance of blossoms that form into budding apples. Treacherous invaders are discouraged as apples grown large into the fall and are harvested for the transformation into some wonderful palette pleaser. The journey of personal practice in yoga also takes this nurturing patience. At first it’s easy to be excited about doing something that makes our body relax, mind quiet and breath spacious. But as we practice, we come upon obstacles. The body ages or we come upon deeply entrenched thought patterns or we recognize an emotional imprint that holds us back. Some of these thought patterns and emotional imprints are like deep hard ruts in the field. It’s easy to lose to a truck or tractor in them. The very time that we want to give up on our personal practice is the time to keep going. This is the rich fertile field of personal growth and transformation. If we can dig the tractor or truck out of one of those deep grooves, we will transform. Combine oil, eggs, sugar and vanilla in a small bowl. In large mixing bowl, combine flour, spices, baking soda, and salt. Add wet ingredients plus apples and nuts. Mix but avoid over-stirring. Use vegetable spray on 2 loaf pans. Split batter between the 2 loaf pans and bake at 325 degrees F for about 70 minutes. Posted in Personal Yoga Practice, Yoga Inspiration, Yoga Wisdom.